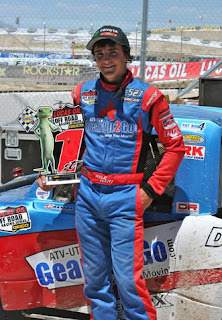 GearUp2Go.com Blog: Kyle Hart Wins Lucas Oil Off Road- Modified Kart Division by .19 hundredths of a second!! Kyle Hart Wins Lucas Oil Off Road- Modified Kart Division by .19 hundredths of a second!! 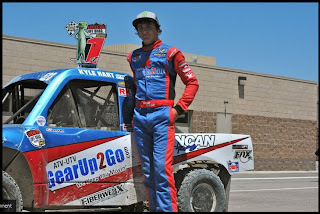 Congratulation to Kyle Hart on his first win on the Lucas Oil Off Road Racing Series. Not only is Kyle’s first win awesome, but to pull it off in such a fashion is unbelievable, Kyle passed Sheldon Creed on the final turn and pulled ahead by .19 hundredths of a second to secure his first trip atop the podium. This is the smallest margin of victory ever recorded in the Lucas Oil Off Road Racing. 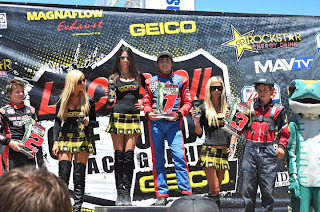 This Lucas Series race, presented by Geico, was held this past weekend at Miller Motorsports Park in Tooele, UT, just outside of Salt Lake City. Gearup2go.com is so proud to be sponsoring such a great young driver and one that embodies attributes perfectly meshed with the gearup2go.com brand – determined, never compromising, quality, innovative, and a winner! Again, congratulations to Kyle Hart on the win and the entire Hart Racing family! www.GearUp2Go.com is a growth-oriented e-commerce retailer of top quality ATV and UTV accessories. The company continues to evolve to support the demands and desires of its customers from around the world. It prides itself on being entrenched in the ATV/UTV community and full understanding of the lifestyle of its customers. GearUp2Go.com will continue the process of innovation to become the market leader in retail ATV/UTV accessories.